Three days of inspirational talks & dynamic, hands-on workshops from global industry leaders & influential local practitioners. With visitors coming from 92 countries to experience 550+ brands exhibiting the latest and most innovative educational products and solutions. GESS Dubai is the meeting place for educators to further their knowledge, learn from their peers and continue to promote the highest quality of education in the region. 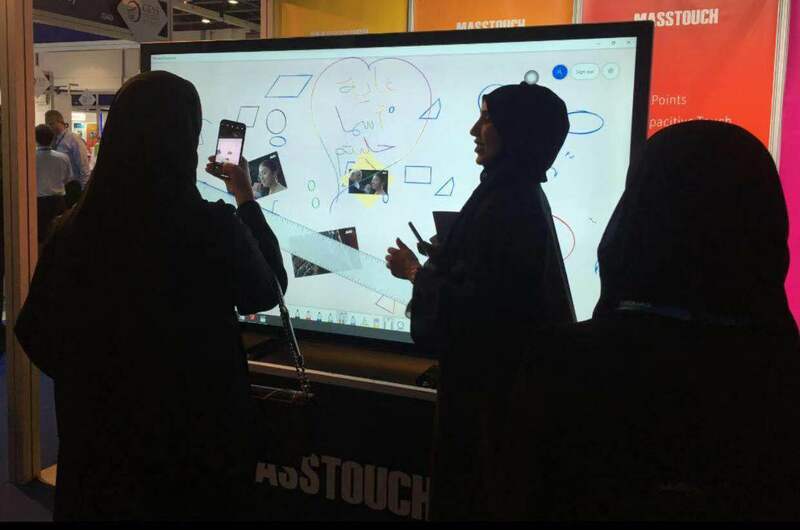 Masstouch participated in 2019 GESS exhibition of Dubai. In the exhibition, MASSTOUCH interactive flat panel display won the high attention of the media and attendees. It was highly praised by the audience from Education & Business industry of Middel East countries. With 4k high-definition interactive flat panel capacitive display, 60-point touch, wireless projection, scan code sharing, arbitrary annotation and other functions, greatly attracted the attention of many agents from all over the world. The only attender of the exhibition who shows the capacitive in big screen of 55"-86".